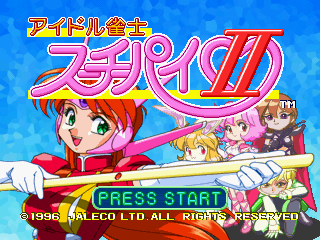 Idol Janshi Suchie-Pai II (アイドル雀士 スーチーパイ II) is a mahjong game developed and published by Jaleco for the Sega Saturn. It is one of a number of Idol Janshi Suchie-Pai games on the Saturn. Main article: Idol Janshi Suchie-Pai II/Magazine articles.